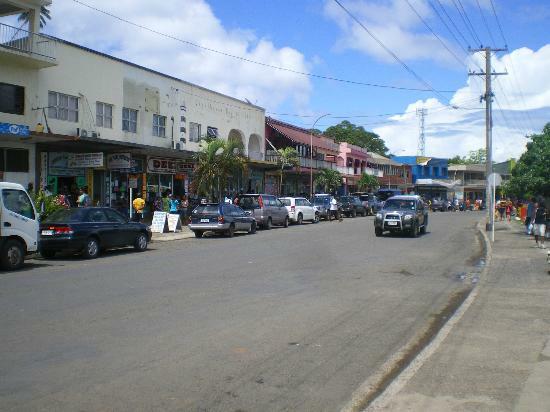 Want to know more about Savusavu? 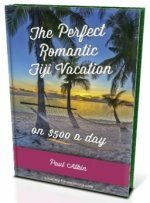 Explore here this pretty seaside town located on Fiji's second biggest island and a haven for tourists and expats. 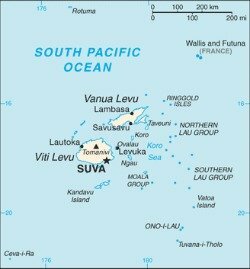 Savusavu is located on the second big island in Fiji, Vanua Levu. The population is around 5,000 including a significant expat community, many having second homes in the area. 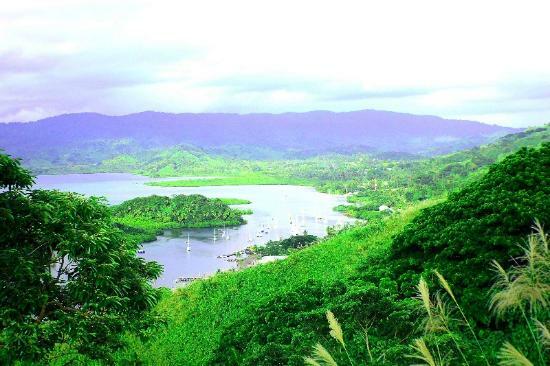 Located in a wide bay, the small but pretty town is the sole port of entry, and a popular spot, for yachts in Vanua Levu. There a variety of good restaurants, bars, and cafes. If you're staying in the area, Savusavu is a must. Air - regular flights from Nadi and Suva is the best way. Visit Fiji Airlines section for domestic air travel information. Sea - it takes significantly longer and you'd only want to do it for the pleasure of cruising. Patterson Brothers Shipping and Consort Shipping from Suva are your options, visit our Transport in Fiji section for information. Snorkeling - a couple of nice spots. Ask around. Hot springs - there's some volcanic activity venting below Savusavu. There are 2 hot springs in town and one is located on the map below. It's literally boiling, so whatever you do, don't jump in! Tours - inquire at your resort or in town for the various tours available including kayaking, mountain biking, village visits, boat charter, and more. There's a handful of mid-range accommodation in town. The nicest resorts, though, are out of town. On the point, Point Lesiaceva (5km south-west), with Jean-Michel Cousteau Fiji Islands Resort, on the south coast around 7km south-west with Namale Resort & Spa and Koro Sun Resort, and then about 10km along and across to the north coast is Lomalagi Resort. It's a bit tricky to spot on the map above. You need to zoom-in to when the distance key on the bottom left is 1,000ft/500m, before all 4 resorts appear.